Startups based in Southeast Asia and India rejoice! 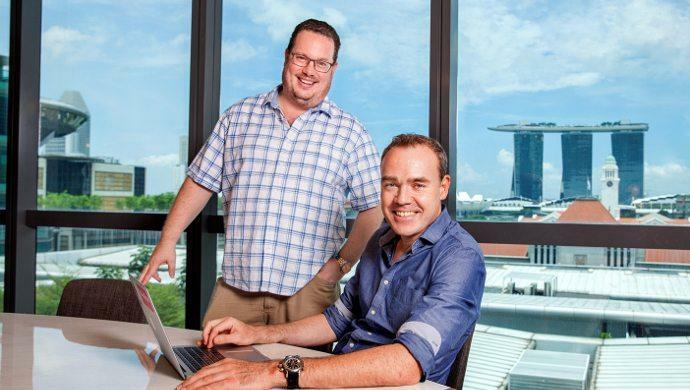 Two veteran angel investors, Michael Blakey and William Klippgen, have teamed up to launch a new S$10 million (US$7 million) seed fund called Cocoon Capital. It will target B2B or B2B2C early-stage startups in the SaaS, e-commerce, and fintech space, and make investments ranging from S$350,000 (US$246,000) to S$1 million (US$700,000). With its network of 30 investors, Cocoon Capital aims to ramp up pre-series A funding in the region. Both Blakey and Klippgen have a ‘hands-on’ approach to their investment strategies. Their combined portfolios include successful startups such as Nugit, Tickled Media and PropertyGuru. Cocoon Capital will be highly selective on who it funds, and will pick only five founding teams and their startups to fund each year. This will allow Blakey and Klippgen time to mentor the startups in their portfolio to help them develop go-to-market strategies and acquire customers. That said, the angel investors plan to seek out these high potential founders in accelerators and other startup platforms they are actively participating in. “We don’t only coach Founders on how to build solid business models, but on how to become good managers and build strong teams, too. These are often overlooked aspects of building a successful company. We also want to proactively help Founders avoid common early-stage pitfalls instead of troubleshooting afterwards,” said Klippgen, in an official press statement. The post Cocoon Capital launches US$7M seed fund, targets SaaS, e-commerce, and fintech verticals appeared first on e27.